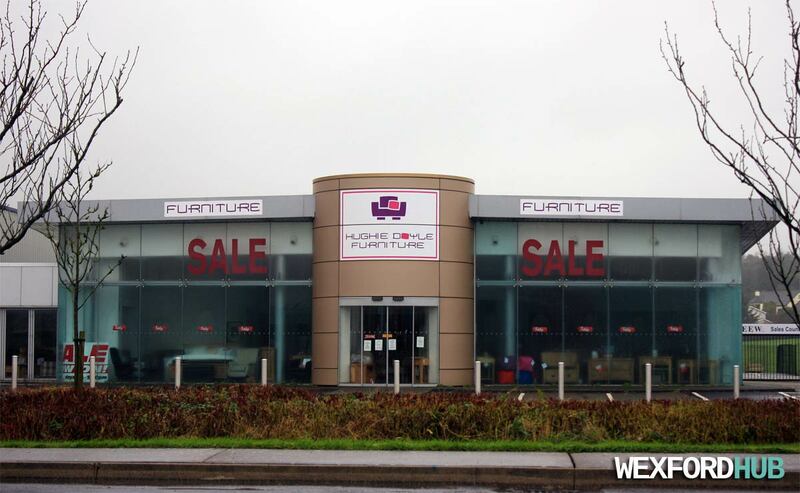 A photograph of the Hughie Doyle Furniture store in Kerlogue Business Park, which is on the Rosslare Road in Wexford Town. As you would expect, the store sells everything from kitchen table sets to sofas and mirrors. This picture was snapped on a damp and dreary day in December of 2015.